"Chestnuts roasting on an open fire . . ." Roast some chestnuts or plant a chestnut tree. One of the harbingers of the holiday season is the appearance of chestnuts - roasted chestnuts from push cart vendors on New York City streets and the intriguing fat polished brown nuts in produce markets. It’s a tradition. Roasting chestnuts or at least eating roasted chestnuts is something you must do every year, like making fruit cake, in order to fulfill all of the hedonistic requirements of the season. 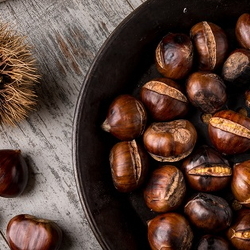 So, here's how to roast chestnuts, and while we are at it, lets consider planting a chestnut tree so chestnuts will be here for generations to come. Harvesting and eating roasted chestnuts in the late fall is a tradition probably as old as man's use of fire. 1. American Chestnut. Castanea dentata. 2. Allegheny chinkapin. Castanea pumila var. pumila. 3. Spanish Chestnut. Castanea sativa. 4. Spanish chestnut. Castanea sativa. Chestnuts in burs. 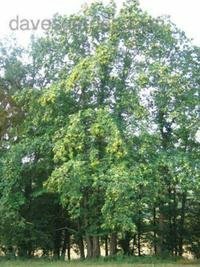 R.H. Zander of the Missouri Botanic Garden offers a more technical guide to the identification of chestnut species. Taynors, Darius, and Garden Mermaid discuss vendors and chestnuts in this thread in the Fruits and Nuts Forum. There are recipes and links to more recipes here also. 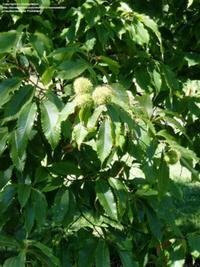 There are a few types of trees that closely resemble chestnuts, but they are not true chestnuts (castanea spp.). Of interest are the Horsechestnuts. 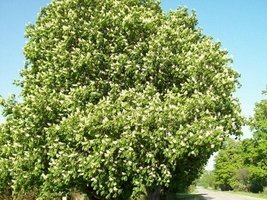 The Horsechestnut, Aesculus hippcastanum, is a majestic tree that produces fruit encased in a burr, similar to a chestnut, but the fruit is not edible. The nuts contain Aesculin, a toxin to many animals including humans. 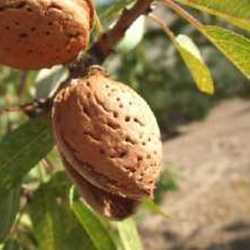 Aboriginal Americans, however, were able to leach the toxin from the nut, rendering the nut meal edible. They also used the powdered horse chestnut's toxic ability to stun fish. In England horsechestnuts are called "conkers". 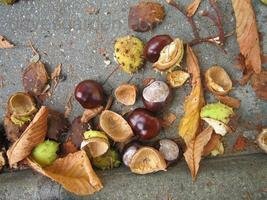 (See photograph 6)  The nuts or conkers are fascinating toys for young children, especially young male children. The rules for the game of "conkers" are described in this Wikipedia article. The North Dakota version of that game, "Kinger" is played with Ohio Buckeye nuts. In North Dakota, the game was considered a boy's game, but girls were allowed to kiss the buckeyes. 5. Horsechestnut. Conker Tree. Aesculus hippocastanum. 6. Conkers and Fruit Cases. 7. Ohio Buckeye. Aesculus glabra. 8. Ohio Buckeye. Flower. 9. Ohio Buckeye. Fruit. 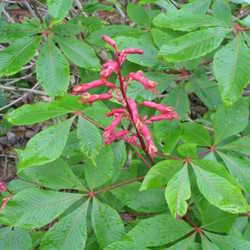 There is an American folk tradition that carrying a buckeye in one's pocket will bring good luck. Lucky buckeyes were carried in men's pockets, sometimes through the decades of a man‘s life. In fact, sorting through some 5000 artifacts of a historic house here in Greensboro, Alabama, I was stunned by the paucity of material remains I could assign to a man who had lived in that house for nearly all of his 100 years. A bible study notebook, a bentwood cane, and a polished buckeye: these were the possessions that remain from a very long life. 10. 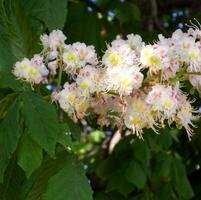 Horsechestnut tree in full bloom 11. Detail. Horsechestnut Flowers. beside a country road near Buckley, Michigan. Peggy Trowbridge Filippone. Roasting Chestnuts. www.homecooking.about.com Additional recipes: For chestnut stuffing and more chestnut recipes. Joe Schibig. 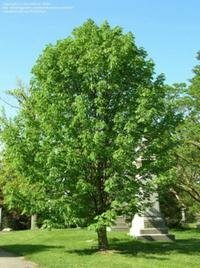 Resurrecting the American Chestnut. Volunteer State Community College. www2.volstate.edu. Hybrid Chestnut Trees. Oikos Tree Crops. Paul Sisco. Chestnut Identification. American Chestnut Foundation. R.H. Zander. November, 2000. 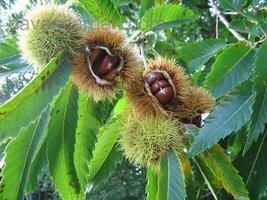 Identification of Chestnut (Castanea) species. Missouri Botanic Garden. Horsechestnut, or buckeye. Aesculus hippocastanum. 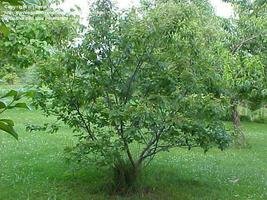 Tree ID. Department of Forestry. Virginia Tech. DG members Philomel and Broots discuss the game of "conkers". Plant Files. Lucky Buckeyes. Buckeyes and Candy Buckeye Recipes. The Ohio State Alumni Club of Central Florida. Central Florida Buckeye. com. PHOTO CREDITS: Photographs 1 - 9: Daves Garden Plant Files. Photographs 10-11. A.C. Church, with permission. Thanks, Allan. Thumbnail. Ohio Breezy. Chinese Chestnuts. Castanea mollisma. Riversandbar. American Chestnut. Castanea dentata. Penn Pete. Chinkapin. Castanea pumila var. pumila. Philomel. Spanish Chestnut. Castanea sativa. Philomel. Spanish Chestnut. Castanea sativa. Chestnuts in burr. Kennedyh. Horsechestnut. Conker tree. 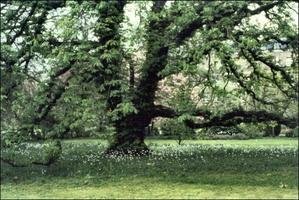 Aesculus hippocastanum "A very old Horsechestnut tree (and snowdrops) in the grounds of Sidney Sussex College, Cambridge, England, April 1998. Philomel. October 3, 2004. "Conkers and fruit cases SW France"
Decumbent. 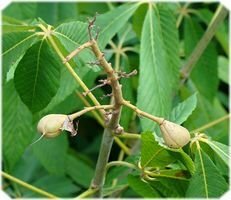 Ohio Buckeye. Aesculus glabra. Viburnum Valley. April 19, 2007. 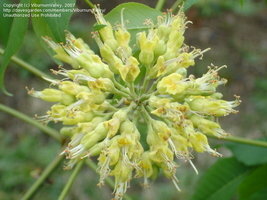 "Ohio Buckeye end on view closeup of flowers showing radial arrangement, Nicholasville, Ky."
Magpye. June 17, 2007. "A couple of 'nuts' (fruit) on the Ohio Buckeye at the Ponca Elk Center, Ponca AR"
Horsechestnut in full bloom beside a country road near Buckley, Michigan. A.C. Church. Detail. Horsechestnut flowers. A.C. Church.